Michael McNamer currently serves as VP of Identity Management Division at 10Pearls. Michael has over 40 years of experience working in Government projects focusing on infrastructure, solutions architecture and networking. 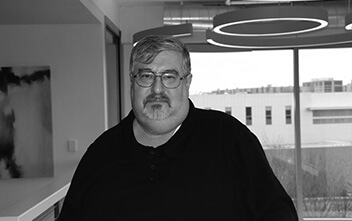 He has spent the last 20 years specializing in Identity Management and Biometrics-specifically for IAFIS and NGI systems for FBI and IDENT for DHS OBIM (formerly US-VISIT). Michael also worked on HSPD-12 projects for Department of Treasury and Department of Health and Human Services. Michael joined ProQual-IT, a biometric identity management and cybersecurity company; in 2007 and served as COO and managed the government contracts from 2012 until acquired by 10Pearls in 2017. From 2010 to present, Michael serves as technical lead and solutions architect for all new initiatives on the O&M contract for OBIM. Previously, Michael lead a team to modernize IDENT’s fingerprint matching capabilities and other biometric modalities for IDENT modernization projects. Before joining ProQual-IT, Michael worked as a Project Manager, Architect and System Administrator for 17 years at Northrop Grumman IT. Michael served in the US Air Force in communications and computer operations for nearly 12 years. He earned an AAS in Computer Science from the Community College of the Air Force and a BS in Computer and Information Science from the University of Maryland, University College.